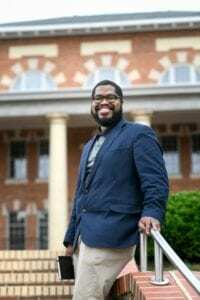 Tyree Daye is a poet from Youngsville, North Carolina. He is the author of two poetry collectionsRiver Hymns 2017 APR/Honickman First Book Prize winner andCardinal forthcoming from Copper Canyon Press 2020. Daye is a 2017 Ruth Lilly Finalist and Cave Canem fellow. Daye’s work has been published in Prairie Schooner, New York Times, Nashville Review. Daye won the 2019 Palm Beach Poetry Festival Langston Hughes Fellowship, the 2019 Diana and Simon Raab Writers-In- Residence and is a 2019 Kate Tufts Finalist.